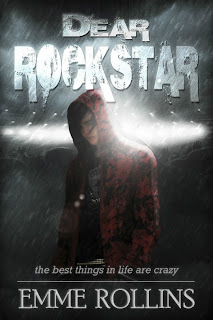 Sara is obsessed with rock star Tyler Vincent, and as she works to complete her senior year, she's determined to find a way to meet him--although her best friend, Aimee, keeps telling her to find a different escape from her desperately violent home life. Complications arise when Dale, the mysterious new transfer student, sets his sights on Sara, and she falls for this rock-star-in-the-making in spite of her better judgment. When Sara wins a contest, she is faced with a choice--travel to Tyler Vincent's home town to meet him, or stay and support Dale in a Battle-of-the-Bands hosted by MTV. Turn up your collar, feather your hair, and splash on some Polo, because we're going back to the '80's when MTV played music videos, there was no such thing as American Idol, and becoming a star meant doing nothing short of crazy for that one, big break. First, let me saw while you may not be a New Adult fan ~raises hand~ Dear Rockstar is not your typical New Adult genre story. I can honestly say I laughed quite a bit as I was reminded of the 80's ~ a genre sometimes better left forgotten. So, if you are an older reader who doesn't feel like they have anything in common with this new genre, you will love Dear Rockstar and the memories it evokes. Sara has faced some challenges in her young life that could have destroyed her, but she has found a way to create something different. Dale learned some hard truths in his young life, but is one of the most compassionate men I've met in awhile. I also adore when the supporting characters have pivotal points in the story as they do in this one. From their parents, to friends, every character is there for a reason. 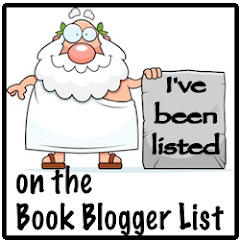 JOIN EMME'S NEWSLETTER and get a FREE READ! Emme Rollins is an up and coming author of New Adult/Mature Young Adult fiction. She's been writing since she could hold a crayon and still chews her pen caps to a mangled plastic mess. She did not, however, eat paste as a kid. She has two degrees, a bachelor's and a master's, one of which she's still paying for, but neither of which she uses out in the "real world," because when she isn't writing, she spends her time growing an organic garden to feed her husband and children (and far too many rabbits and deer!) where they live on twenty gorgeous forested acres in rural Michigan. Emme loves hearing from fans, so feel free to use the contact page on her website (emmerollins.com) to connect with her.